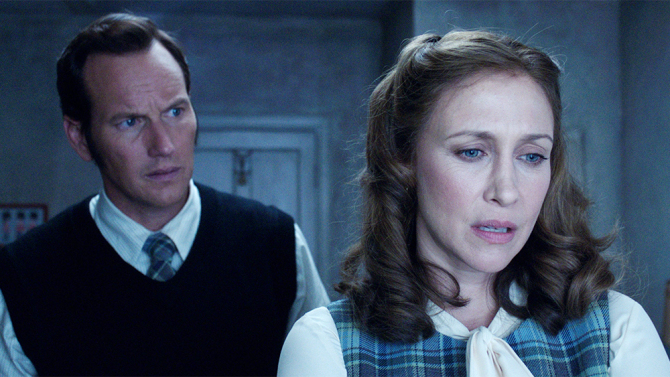 The Conjuring 3 has been announced, along with a new director. offs The Nun, Annabelle, and Annabelle Creation. But director James Wan is going to be taking a step away from director’s chair for The Conjuring 3. Michael Chaves will be taking over the hot seat, but fans need not worry as he’s worked with Wan on the horror The Curse Of La Llorona, which they produced together. While working closely with Chaves on The Curse of La Llorona, I got to know him as a filmmaker. Chaves’ ability to bring emotion to a story, and his understanding of mood and scares, make him a perfect fit to direct the next Conjuring film. I’m excited to be back as producer and continue with Vera and Patrick on the next supernatural adventure of the Warrens. And Chaves is as equally as excited. I am a huge fan of the Conjuring films. The movies are the rare combination that delivers both tremendous heart and awesome scares. It is both a total thrill and absolute honour to be working with James and the gang at New Line again. Made for just $20 million, The Conjuring became a hit when it was released in 2013, racking up almost $320 million worldwide. The latest movie in the franchise was September’s The Nun, which became the ‘most successful outing so far, earning $334.8 million to date’. While opinions are mixed with the new director at centre stage, I’m sure it’ll be a good watch.